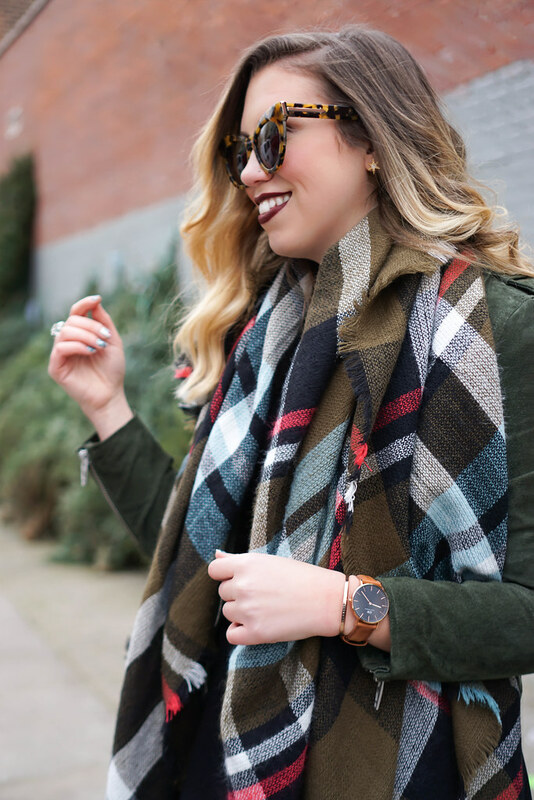 If you follow me on Instagram or Facebook then you know this suede jacket and plaid scarf have been on heavy rotation lately. They’re the perfect Holiday combination for when you want to look festive, but you don’t want to look too festive…you know what I mean? Sometimes I feel like I can easily overdose on cheery red clothes, but christmas tree green is a way more subtle way to get in the holiday spirit! The addition of this red bag and these leopard booties made this the perfect outfit for a few holiday festivities during the Christmas week! If you’re looking for a new pair of winter booties I highly suggest these! They come in multiple colors and patterns, the heel height is perfect! After searching for about 2 years for a leopard bootie I’m so glad I found these! 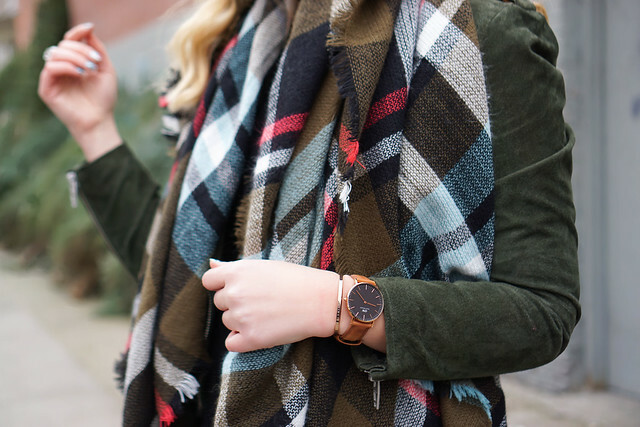 Christmas plaid and leopard is a no fail combination for me! The Holidays are here…catch up on my Holiday Posts &amp; follow my Holiday Style Pinterest Board for what to wear, how to decorate &amp; everything in between!